The Stepper library allows you to connect stepper motors, which move in small individual steps that makes slow and precise movement easy. Stepper is compatible with all Teensy boards. Stepper can control unipolar or bipolar stepper motors. In this photo, Stepper is controlling a unipolar stepper motor salvaged from an old Teac 5¼ inch floppy disk drive. Small stepper motors designed for 5 volts may be able to run from power provided by USB. Larger motors will require separate power. 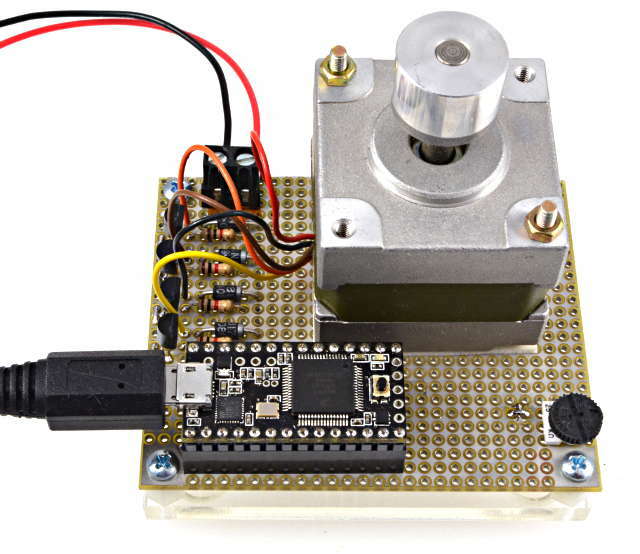 Create an instance of the Stepper library for a unipolar type stepper motor. You will need to create an instance for each motor, giving each motor a unique name of your choice. 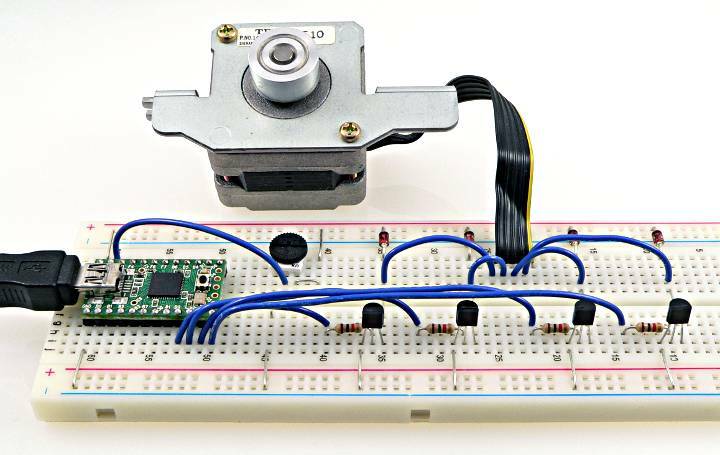 Create an instance of the Stepper library for a bipolar type stepper motor. Sets the speed, in rotations per minute. Move the motor 1 or more steps. The number can be positive or negative, to specify the direction of movement. This example is a slightly modified version of MotorKnob, which can be opened from the File -> Examples -> Stepper menu. * (or other sensor) on analog input 0. Please refer to the official Stepper library documentation for more details.